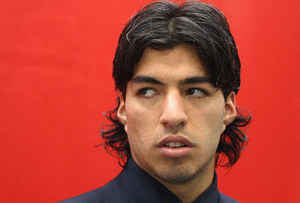 What do you do if you have a Suarez in your company? Someone who gets results but doesn't play by your rules? Leadership expert Martin Palethorpe has this advice. Luis Suarez is a great football player. He scores goals and consistently performs on the pitch. There are few players like him and his ability speaks for itself. But he is also well known for his bad behaviour and that poses an issue for management. As a business leader, this is a situation you may face in your own organisation. In April 2013, Luis Suarez's appetite for bad behaviour came to the fore once again when the Liverpool striker took a bite of Branislav Ivanovic's arm in a Premier League football fixture. Over the last four years, Suarez has been at the heart of a number of contentious incidents and misdemeanours ranging from dressing room bust-ups, to racial abuse, deceitful hand balls, stamping and biting players. Each time he immediately apologises and is subsequently punished, only to go on and offend again. As a football player, Suarez is part of a close-knit team and as such, what damage and impact is his behaviour having - not only for Liverpool Football Club, but on his team mates? And is management's handling of the issue tough enough? Of course, it's not as simple as that (or is it?). Remember he's one of the very best players wherever he goes. He scores goals (the second most in the league in 2013) in a world where goals and success is everything. This is a situation that is clearly reflected in the business world. · What do you do if one of your 'A' players or senior people behaves badly? · What if they consistently fail to live by your company values? · What is the impact of this if you don't deal with it powerfully? And what is the impact if you do? All too often we see leaders turning a blind eye to the behaviour of their key performers. They let them get away with it because their results are so valuable. Leaders are sometimes afraid to be tough, even when it's the right thing. First things first, you need consistency. Don't treat people differently. Have the same rules for all, regardless of seniority or competence. If anything, be tougher on the more senior and the more competent - after all, their influence is greater. Whatever the crime, it helps if you have clear expectations in the first place, so make sure you define very precisely what is and what isn't acceptable behaviour. Define what the punishment will be for unacceptable behaviour before it happens. Some misdemeanours (for example biting!) will require immediate dismissal. And if you've been clear upfront, then everybody knows the ramifications. Once they're breached, the next step is already defined. If you have values, you have to live them and you have to enforce them. If you don't, they are not worth the paper they are written on. Even worse, people lose all respect for the initiative and for the creators of the initiative. Let's be very clear, values should not be a fluffy HR initiative anyway. You should define a set of values to be the key aspects of the culture that you want to develop, in order to most effectively over-achieve your business goals. There is plenty of evidence to show that a culture with entropy (limiting values such as politics, blame, gossip, manipulation, short-term focus) will negatively impact on long-term results. There is also plenty of evidence to show that a culture based on values such as teamwork, shared vision, shared values, honesty, openness and learning, as well as performance, results and excellence, will dramatically improve performance. If you don't reprimand bad behaviour, you're allowing values such as favouritism, gossip, lack of accountability and lack of trust to creep into your culture. When this happens once, it will happen again and again. The power of your culture and values evaporates and without realising it one step at a time you are significantly and negatively impacting on the long-term success of the business. So in summary, if you find yourself with a Suarez in your team then you must deal with it powerfully. Suarez may be an exceptional player, but as his manager said, 'No one person is bigger than the organisation'. Make sure that you challenge, praise or reprimand powerfully. Set clear boundaries and clear rewards or consequences that are always followed through. In the end, if you have live and breathe strong values and a strong culture, then you'll develop a strong team and score lots of goals.